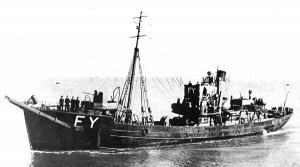 15.2.1930: Launched by Cochrane & Sons Ltd, Selby (Yd.No.1072) for J. Marr & Son Ltd, Fleetwood as FYLDEA. 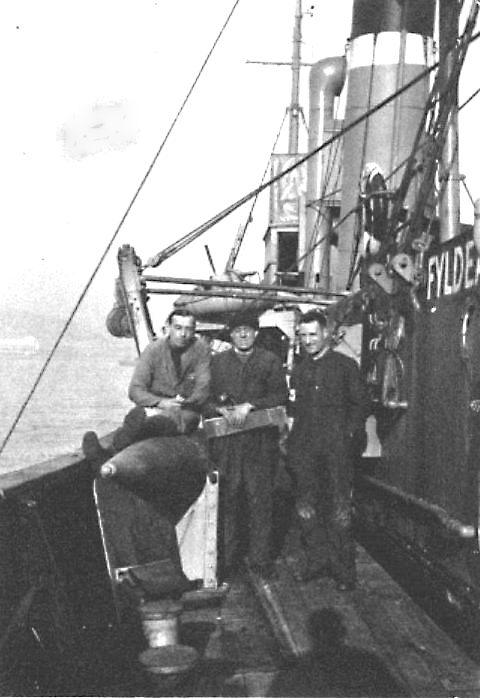 24.3.1930: Registered at Fleetwood (FD72). 29.3.1930: Completed (Geoffrey Edwards Marr, manager). 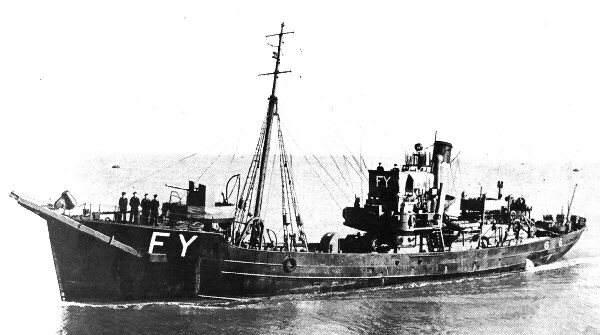 1934: Crewed and operated by The City Steam Fishing Co Ltd, Hull. Fishing from Hull. 21.7.1936: Completed lengthening by Smith’s Dock Co Ltd, Middlesbrough to 151.5 feet (including fitting new bow and stern sections). Re measured 377g 149n. 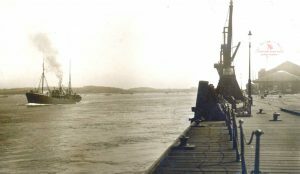 3.8.1939: Sailed Hull for Bear Island (Sk. H. French). 21.8.1939: At Hull landed 1,547 kits grossed £1,666. 2.9.1939: Requisitioned for war service as a minesweeper (magnetic) (P.No.FY.666) (Hire rate £202.12.11d/month). 20-26.5.1940: Evacuation from Boulogne, Calais & Dunkirk. 25.5.1940: Sailed Dover for Calais in company with the trawlers ARLEY (P.No.FY.620) (FD44), BOTANIC (P.No.FY.707) (FD47), BROCK (P.No.FY.621) (FD47), CALVI (GY269), MARETTA (P.No.FY.665) (FD45), POLLY JOHNSON (H322) and drifters PLAYMATES (P.No.FY.738) (YH141) and WILLING BOYS (P.No.FY.947) (LT737) with several river launches in tow. 26.5.1940: At 1.40am. arrived off the French coast. No evacuation order given. Returned to Dover. 6.1940: At Dunkirk evacuation (Operation Dynamo)(Sk. G. Whamond) transported 180 troops. 30.1.1942: Based Lowestoft. Shot down German aircraft (JU88) near 54G buoy off Norfolk coast; one body recovered. 8.12.1945: Registered at Hull (H160). 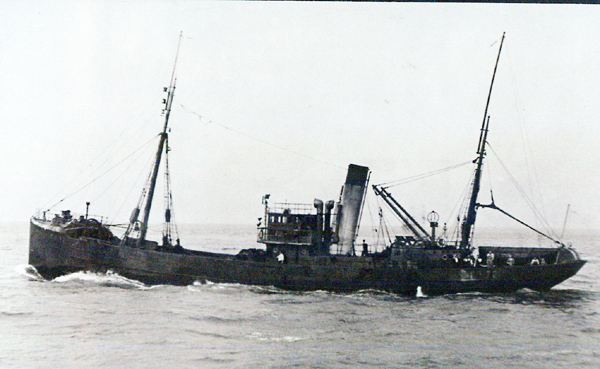 26.9.1946: Sold to The Ocean Steam Trawling Co Ltd, Hull (William Leslie Barkworth, manager). 11.1947: Sold to Iago Steam Trawler Co Ltd, Fleetwood (Cdr. E. D. W. Lawford DSO, manager). 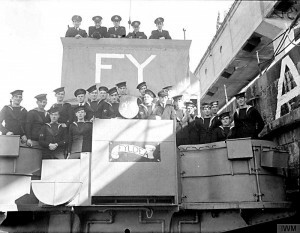 1.1948: Renamed RED DRAGON (LO381). 5.2.1958: Sold to BISCO and allocated to Sold to Thos. W. Ward Ltd, Sheffield for breaking up. 18.2.1958: Arrived Barrow from Fleetwood. London registry closed. This entry was posted in Steam Trawlers, Steamers (Picture) and tagged Iago, Marr on January 28, 2009 by Fred Smith.